Before Barack Obama and Hillary Clinton got involved in Libya it was comparatively stable and no strategic threat to the United States or its allies. But that was before Obama and Hillary toppled the regime and Guddafi’s body was carted through the streets on the hood of a pickup. Today the country is in shambles, with black Africans literally being sold in slave markets. Libya today is a failed state. The government does not have any control over half of the country and ISIS has created a stronghold after the collapse of the Islamic State in Syria-Iraq. Though CNN’s footage and accompanying report is shocking, such practices have been quietly documented for years, and clear warnings were issued starting in early 2011 that Libya’s black as well as migrant population would be the first to fall victim at the hands of the Islamist Libyan rebels that NATO’s war empowered. An estimated 40.3 million people were victims of modern slavery in 2016. 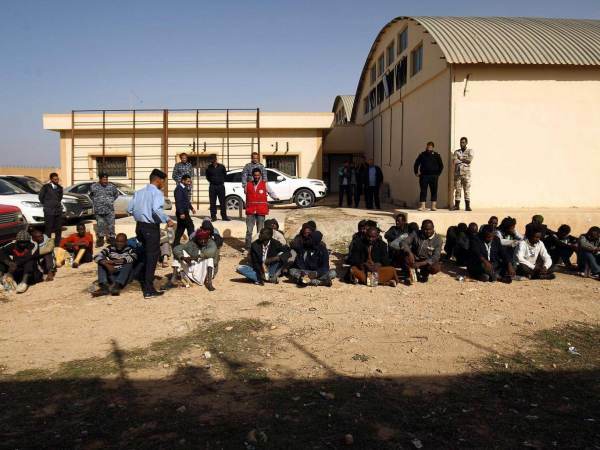 In libya the slave market has grown after the collapse of the regime. Barack Obama and Hillary Clinton created the conditions that allow for a thriving slave market in Libya today. It’s not likely the media will ever make the connection.